After finish formality process at Lao Immigration, transfer to the pier. Luang Say Lodge in Pakbeng. One stop is made en route to Pakbeng to observe a rural life along the Mekong River at Ban Houy Phalam; a Kamu village. A buffet lunch is served on board. 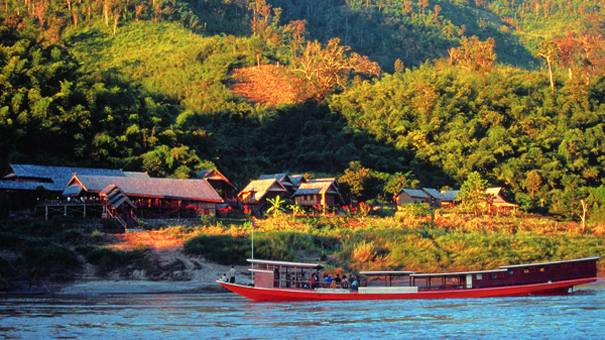 The boat arrives at Luang Say Lodge before sunset for an overnight stay and a dinner is served at on the terrace overlooking the Mekong River. A continental breakfast is served on the terrace from 7a.m. The boat leaves Luang Say Lodge at 8 a.m. for the second day trip and the first stop is at Ban Baw village to observe the process of making traditional rice alcohol. A buffet lunch is served on board. 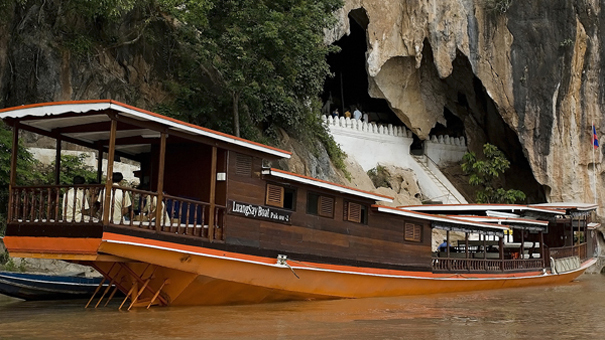 The boat stops again opposite the mouth of the Nam Ou River to visit Pak Ou caves where there are two caves ‘Tham Ting’ and ‘Tham Phoum’ and thousands of Buddha images are found. The boat arrives at Ban Don Mai pier before Sunset. • Luang Say Cruise Downstream departs from slow boat pier in Houei Sai at 9a.m. so please be at Luang Say office in Houei Sai (next to Laos immigration) by 8.30 a.m. At the latest. • For Luang Say Cruise Downstream, a luggage tag will be given at Chiang Khong (Thai border). 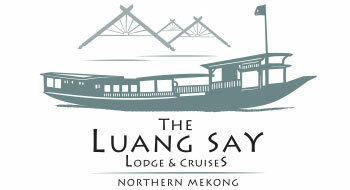 • Please bring a jersey or a jacket as it can be cool at Luang Say Lodge and on the boat during October to February. • It is possible to leave your suitcase and luggage on the boat and take only a small daypack with changing clothes. This is an advisory as the steps to Luang Say Lodge are quite steep. • For safety reasons and according to weather conditions, the program may be changed without prior notice.